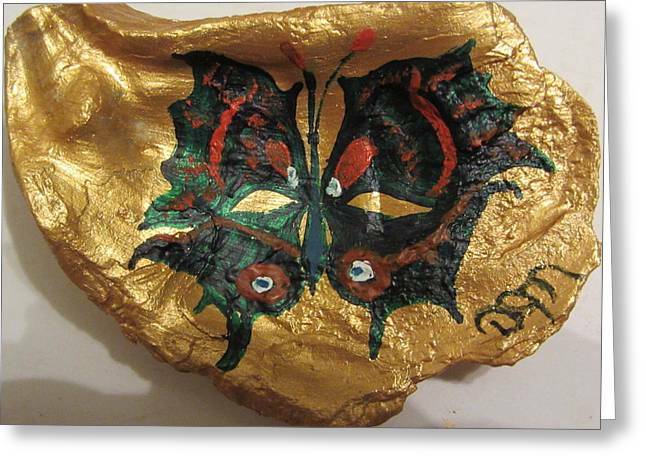 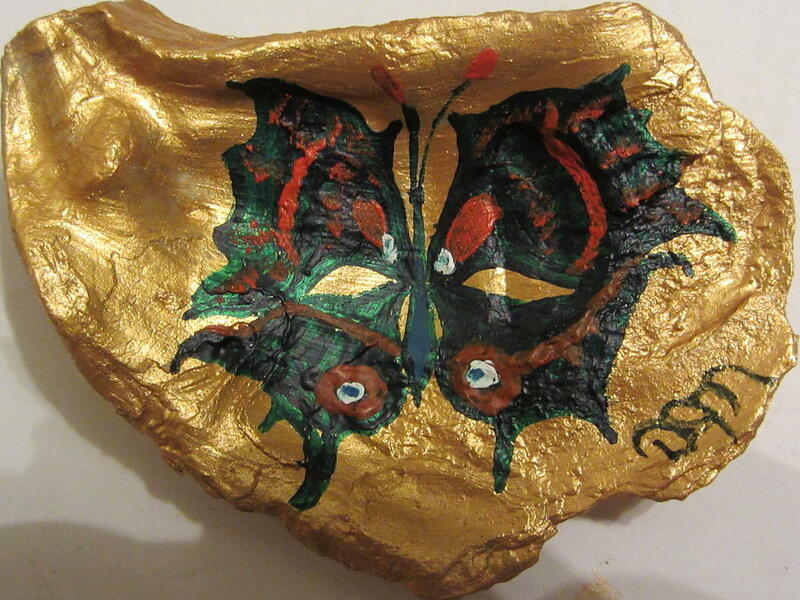 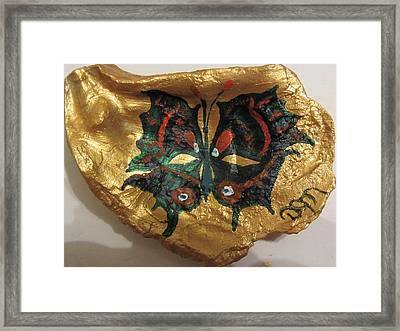 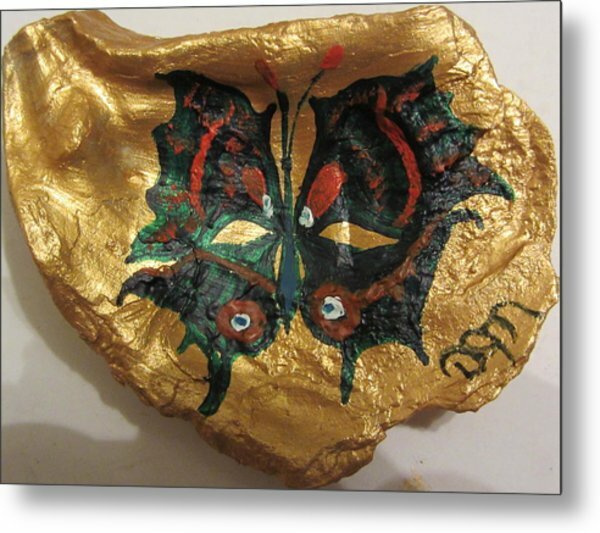 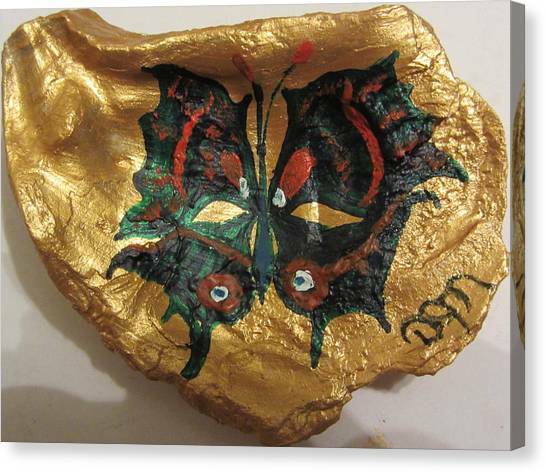 Golden Nugget Bird's Eye Butterfly On An Oyster Shell is a painting by Debbie Nester which was uploaded on September 26th, 2013. I made this Fine Art pice available to you, thinking it may go good on the iPhone and Samsung Galaxy covers, the later found at www.debbie-nester.pixels.com. 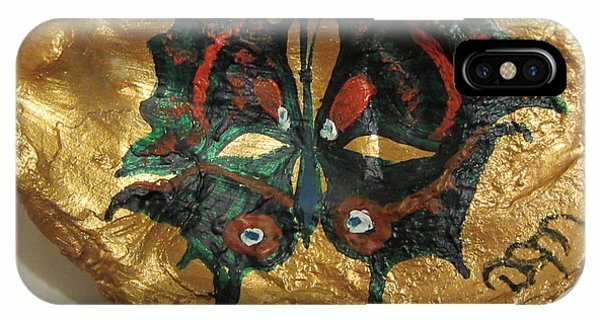 I will post next a Gold Acrylic Painted Oyster Shell which you may like to purchase on the covers for the available type of iPhone and Samsung Galaxy.